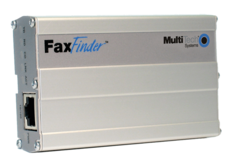 The FaxFinder family of V.34 fax server appliances allows you to receive faxes wherever you are as e-mails and send faxes from any application that can print. 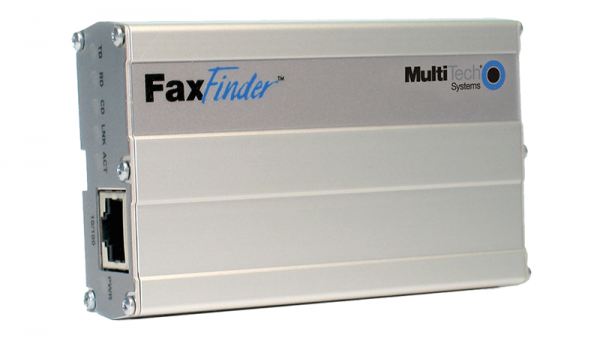 The FaxFinder family provides distributed faxing capabilities, over a WAN, from a corporate office to small remote offices as well as to field sales people. 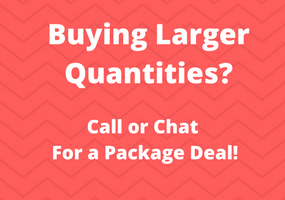 In addition, they provide secure, convenient faxing for LAN users offering a high degree of privacy for both the sender and recipient. 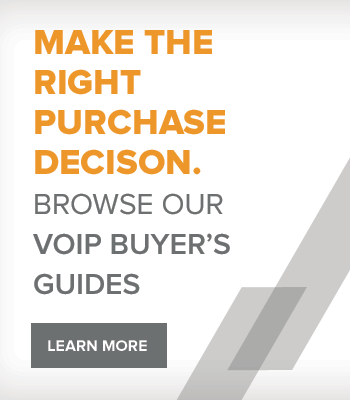 The FaxFinder is available in a 1-port model for connecting directly to an analog port of a T1/PRI equipped PBX, or in a 2-port model utilizing Direct Inward Dialing (DID).